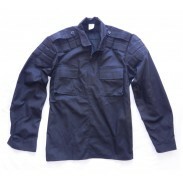 Black Tactical Uniform of Ukraine Police Special Unit "TITAN"
This is uniform have name "Titan". This is oficial uniform for Ukrainian Police Special Unit - "TITAN". Also wear this is uniform another Ukrainian special unit. Special Regiment "Titan" - is the elite of the State Security Service. "Titan" ensure protection of property of individuals and leg.. 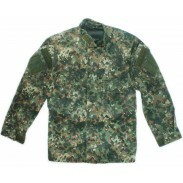 This is camouflage pattern "FLECTARN" has been chosen for the special units and patrol police. This is new model of unifom, comming 2015. The jacket has four breast pockets, two pockets with Velcro and two hidden pockets. There are also pockets of sleeve. 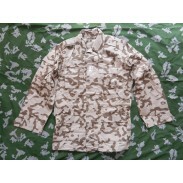 On the elbows have pock..
Desert camo - two-colour desert version of the standard Ukrainian TTsKO camouflage pattern. This pattern was originally issued and developed by Ukrainine Army since 2003. This is uniform wearing for peacekeeping missions in Iraq, Afghanistan and Africa Original milita..
TTsKO (by russian TriTsvetnaia Kamuflirovannaia Odezhda) In Ukraine the pattern called as dubok (little oak). 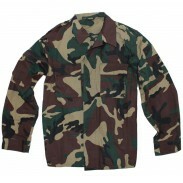 Camouflage woodland uniform officially called as "Summer Field Uniform". This pattern was originally developed by and issued to the Soviet Army since 1988. This is type of ca.. This is uniform model 2015. New camo pattern called "Varan VSU". Officially called - Summer Combat Suit (jacket and pants). 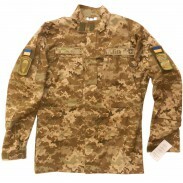 Advantages of the new uniforms: Ukrainian development; Ukrainian fabrics; has no analogues; uni.. 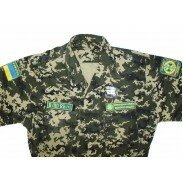 This is type of BDU Woodland camo uniform was used of Ukraine Border Guard until 2012. After 2012 comming an uniform with new digi camo pattern and new model. Original military genuen item. Rare. RipStop fabric. Never used, brand new .. This is uniform model 2011. New digital camo pattern. Original military genuen item. Velcro patches selling with suit. .. This is uniform model 2014. New digital camo pattern. Original military genuen item. 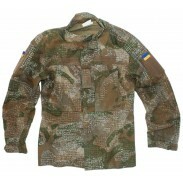 Officially called - Summer Combat Suit (jacket and pants) type B The state standard of state system UkrSEPRO ТУ У 14.1-00034022-001:2014 Prehistory The new .. This is uniform model 2015. New digital camo pattern. Original military item. 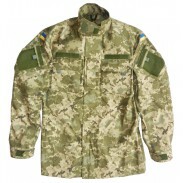 Officially called - Summer Combat Suit (jacket and pants) Prehistory Uniforms began to develop in 2014, the research center of the Ministry of Defense of Ukraine was .. 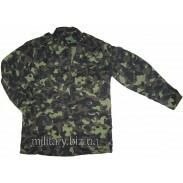 Combat shirt UBACS in digi camo MM-14. Original military genuen item. 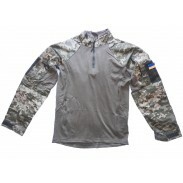 For technical specifications combat shirt is designed for use in the field as one of the elements of field clothing while using body armor in the warmer months. The product can be us..